Dr. Orsega-Smith is an associate professor in the Department of Behavioral Health & Nutrition at the University of Delaware. She earned her B.S. in Exercise Science from the Pennsylvania State University, a M.S. in Cardiac Rehabilitation and Primary Prevention from East Stroudsburg University, and Ph.D. in Biobehavioral Health from the Pennsylvania State University. Her program of research focuses on the psychosocial determinants of health, with a specific interest of physical activity in older adults. 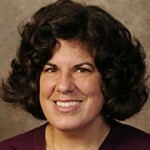 Additionally her service has involved intergenerational programming to connect grandchildren with their grandparents to improve both fitness and health along with the relationship between the two generations.She has presented at a wide variety of national conferences including Society of Behavioral Medicine, American College of Sports Medicine, and Gerontological Society of America. Robson, Orsega-Smith, Greenawalt,& Peterson ( 2017). The Association Between Fruit and Vegetable Consumption and Fruit and Vegetable Stage of Change in Underserved Communities Engaging With Cooperative Extension Services. Journal of Nutrition Education & Behavior, Vol Issue ( PP1-5). Jackey, B., Cutogna, N., & Orsega-Smith (2017). Food label knowledge, usage and attitudes of older adults. Journal of Nutrition in Gerontology and Geriatrics,36(1), 31-47. Orsega-Smith, E., Getchell, N., & Palkovitz, L. (2012). Does gender influence physical activity and psychosocial factors in older adult exercisers? A pilot study. Women in Sports and Physical Activity Journal, 21, 61-70. Orsega-Smith,E., Davis, J., Slavish,K., & Gimbutas, L.(2012). Wii Fit Balance Intervention in Community-Dwelling Older Adults. Games for Health Journal, Vol. 1, No. 6: 431-435. July 2017. International Association of Gerontology and Geriatrics World Conference. San Francisco, Ca. Referred Poster session. “Lessons Learned From Teaching the Art of Happiness to Older Adults”, Orsega-Smith, Goodwin, Greenawalt, Turner & Rather. Presenter. June 2017, University of Delaware Summer Faculty Institute. Newark, DE. Poster Presentation from CTAL Award. “Connecting Generations: Older Adults and College Students” Orsega-Smith, Presenter. May 2017. ACCEL Community Research Exchange. Newark, De. Refereed Oral Presentation. “Instilling the Art of Happiness in Community Dwelling Older Adults” Orsega-Smith, Goodwin, Greenawalt, Turner, Rathie. Oral Presenter. May 2017. ACCEL Community Research Exchange. Newark, DE. Refereed Poster Session.“Impact of an Active Living CBPR Program in Diverse Ethnic Populations”. Orsega-Smith, Greenawalt, Mattei, Breneman. Poster Presenter. March 2017. Annual Meeting of the Society of Behavioral Medicine. San Diego, CA. Refereed Poster Presentation. “Instilling the Art of Happiness in Community Dwelling Older Adults”. Orsega-Smith, Goodwin, Greenawalt, Turner, Rathie. March 2017. Annual Meeting of the Society of Behavioral Medicine. San Diego, CA. Refereed Poster Presentation. “Predictors of Subjective Happiness in Older Adults”. Greemawalt, Orsega-Smith, Goodwin, Turner, Rathie. March 2017. Annual Meeting of the Society of Behavioral Medicine. San Diego, CA. Refereed Poster Presentation. “Stages of Change and Fruit and Vegetable Consumption in Minority Populations”. Orsega-Smith, Greenawalt, Robson & Peterson. Presenter. State of Delaware Department of Health and Human Services, Division of Public Health. “Implement a state-wide health promotion campaign to increase physical activity, improve healthy eating, and promote greater advocacy for improving the health of communities in Delaware.” September 1, 2012 to August 31, 2015, with the possibility for additional funding up to five years (year 2017).